This historically inspired Medieval Unicorn Dagger is truly a work of art with its mirror-polished stainless steel blade and ornately designed hilt. The oversized hand guard has meticulous attention to fine detail with a central unicorn motif. A coordinating pommel design completes the stacked-style handle. 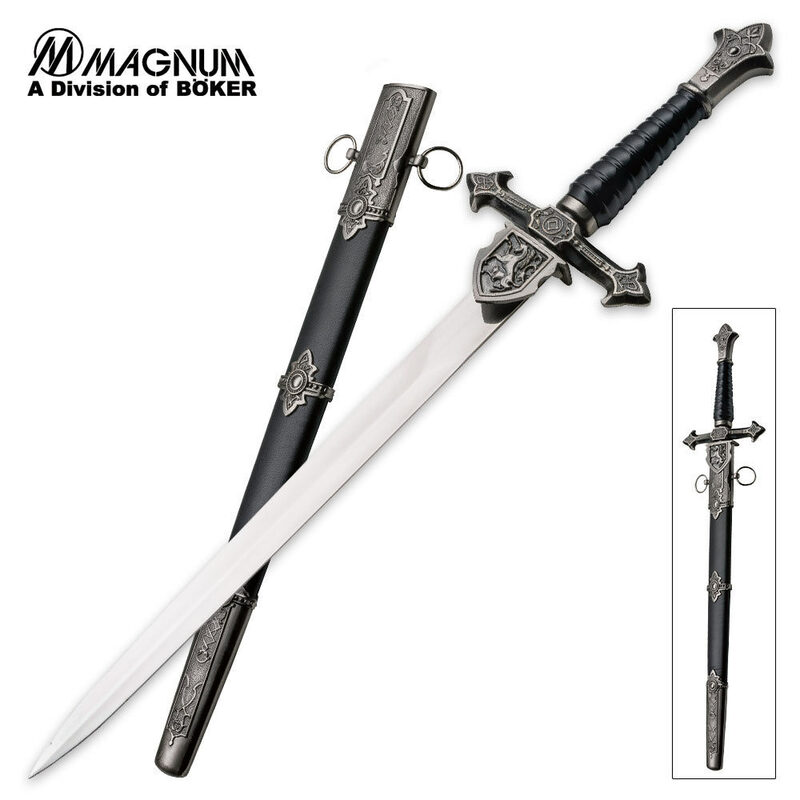 This historic piece is reminiscent of daggers carried throughout Medieval Europe. 20-1/4" overall length. Includes matching leather scabbard. This is a showpiece dagger that I bought for my fiancé for a renaissance festival. She absolutely loves it, and not just because it has a unicorn on it. The false-edge blade has a nice mirror polish on it, and it's a pretty good length for a dagger. The weight is perfect for her as well. The sheath is as well-made as the dagger, and the blade slides neatly into it, and holds the dagger very snugly. The overall construction is pretty much flawless; everything is centered perfectly and there is no wobbly parts. DEFINITELY worth the money if you're buying it for looks. 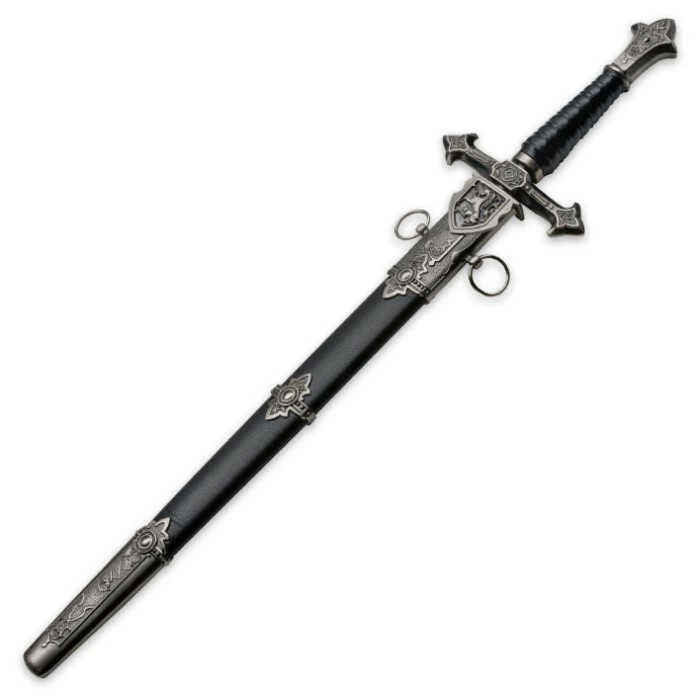 This is a beautiful and high quality dagger. It comes unsharpened and I wasn't expecting the handle to be plastic but it still looks great. Overall, it is a great buy.